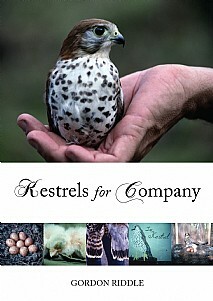 An appealing book that rightfully raises the profile of the kestrel. It provides an extensive picture of this delightful falcon, including its lifestyle and the factors that affect its breeding success and survival. This is based upon almost 40 years’ monitoring of the kestrel in south-west Scotland and further afield by the author and colleagues, giving a flavour of the integrated approach to monitoring and conservation. As well as the wealth of factual data, there are entertaining anecdotes and stories both from the author’s experiences and from the wider media coverage of this raptor over the years. The reader is taken to exotic locations such as the Seychelles, Mauritius and the Cape Verde Islands to see the endemic island kestrels which have always held a great fascination for the author. Latest figures show an alarming decline of 36% in the kestrel population in the UK, with even more dramatic falls such as 64% in Scotland. The fieldwork techniques which play such an important role are detailed in a composite breeding season. The kestrel is not portrayed in isolation and the bird’s current circumstance is tied into the bigger picture of raptor conservation and the struggle against sustained persecution. The author reflects upon the political, economic and conservation issues that have dominated this field in the past few decades and through this personal and well-informed account the reader gains access to the world of the kestrel. Kestrels for Company will appeal to a wide audience including all those with a special interest in raptors, birding enthusiasts, and everyone interested in nature and conservation.